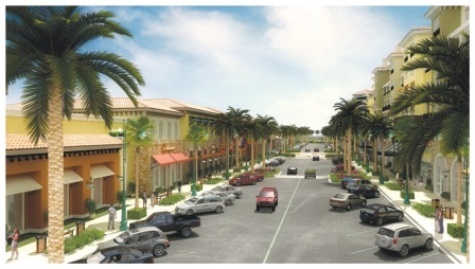 Retail area anticipated for Piemonte located in Ontario Airport Metro Center Mixed Use Area. Our Policy Plan and implementing regulations are designed to focus growth; however, they cannot address every situation. In order to take advantage of opportunities or remove impediments to achieving our Vision of a complete community, we need the ability to quickly respond to changing market conditions and innovative development proposals. This is accomplished through our Planning incentive program and flexible application of development standards. Staff, regulations and processes that support and allow flexible response to conditions and circumstances in order to achieve the Vision. Development Standards. We maintain clear development standards which allow flexibility to achieve our Vision. Land Use Flexibility. We consider uses not typically permitted within a land use category if doing so improves livability, reduces vehicular trips, creates community gathering places and activity nodes, and helps create identity.